Yesterday acting Attorney General Sally Yates announced that she would not defend President Trump’s recent executive order barring citizens of seven Muslim-majority countries from entering the United States for 120 days, and indefinitely suspending the Syrian refugee program. President Trump immediately responded with his favorite phrase: your’e fired. Okay, he may have not actually said the phrase, but he did fire her. Would Ms. Yates be entitled to unemployment benefits if she was an Illinois employee? The purpose of the Unemployment Insurance Act is to alleviate the harsh effects of involuntary employment. Under Illinois law, the employee is ineligible for unemployment benefits if the worker was discharged for misconduct connected with work. 820 ILCS 405/602(A). The most common provision that employees are found to be ineligible under the Act is when the employee commits a deliberate and willful violation of a reasonable rule or policy, provided such violation has harmed the employing unit, other employees, or has been repeated by the individual despite a warning or explicit instruction. This reasonable rule or policy language was the only definition of misconduct until last year. This is very important because employees are often terminated without violating a clear rule or policy, if the employer even has any. Many employers, particularly smaller companies, do not have clear rules or policies, making it difficult to show the employee ever violated one. Moreover, not only must the employee violate a rule or policy, but the violation must be deliberate and willful, a relatively high standard of culpability. For example, in Washington v. Board of Review, 211 Ill. App. 3d 663 (1991), the Court found an employee falling asleep on the job, despite a policy prohibiting sleeping during work, was not misconduct because the employee did not deliberately or willfully fall asleep. In former Attorney General Yates’ case, if she were an Illinois employee, it would likely be difficult to show that she violated a specific rule or policy. There would need to be a policy requiring her position to find every action by the President lawful, and she must defend any executive action regardless of the constitutional basis. It is unlikely these rules or policies are in place. Grossly negligent conduct endangering the safety of the individual or coworkers. As you can tell, these additional provisions make it much easier to find a terminated employee is ineligible for unemployment benefits. Many of these provisions do not require any existing rule or policy for the employee to violate, as opposed to the original misconduct definition. In Ms. Yates’ case, the government could theoretically argue that she refused to obey an employer’s reasonable and lawful instruction (obviously assuming there was an instruction, and such instruction was lawful). In all likelihood, an attorney as successful as Ms. Yates is unlikely to need to rely on unemployment benefits for any period of time, as she is likely to find new employment quickly. However, for many individuals, the determination whether the employee was terminated for misconduct can have vital consequences, potentially allowing the worker essential benefits until the employee finds new employment. Are You Entitled to Severance? The firm represents Illinois workers in and near the areas of Cook County, DuPage County, Kane County, McHenry County, Will County, Bolingbrook, Des Plaines, Downers Grove, Geneva, Glen Ellyn, Evanston, Lombard, Naperville, Oak Park, Orland Park, Schaumburg, Wheaton, and surrounding areas. This is an attorney advertisement. 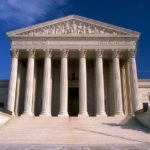 The Supreme Court of Illinois does not recognize certifications of specialties in the practice of law and the certificate, award or recognition is not a requirement to practice law in Illinois. The information on this website is for general purposes only and should not be interpreted to indicate a certain result will occur in your specific legal situation. The information on this website is not legal advice and does not create an attorney-client relationship.